Home › Reading › Finished Reading Dead and Gone. Finished Reading Dead and Gone. 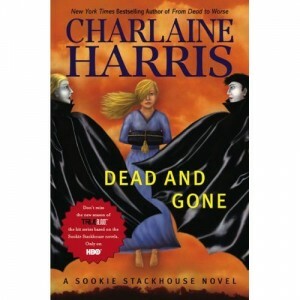 I finished reading Dead and Gone (Sookie Stackhouse, Book 9) by Charlaine Harris . Following the vampires’ lead, the were’s decide to step out and announce their existence. While the initial reveal goes smoothly, the brutal crucifixion of a young werepanther behind the local bar makes Sookie wonder if people are as tolerant as she thought. Meanwhile, the FBI is asking questions about Sookie’s uncanny ability to locate survivors after the explosion in the eight book, and trouble is brewing among the secretive fae. It’s hard to write a true recommendation about this book. If you have read the other eight books your going to want to read number nine. If you haven’t read the other Sookie Stackhouse books you should start with the first book it’s a fun entertaining story.